I was hesitant to read this, simply for the fact that I’m a little bit tired of assassin novels. However, it was 99 cents on Amazon and I was like, whatsup. Can’t pass up a bargain book! I actually enjoyed it. It took me several days to read, just because I’ve been busy. I looked forward to picking it up, but I was never struck with the oh my goodness, I can’t put this down and I loathe any activity I have to do besides read it moment. In fact, one of my major issues with the story is that the climax didn’t happen until the last 15% of the book. Up until then, it didn’t really build up very much, either—it just kind of coasted until BOOM BUILD UP AND CLIMAX AND END. I enjoyed Ileni’s character, despite her flaws and weaknesses. I think her weaknesses are attributed well to her upbringing, and with a bit of a change of mindset, she realizes that perhaps the way her people brought her up wasn’t the best way. I appreciate how determined she was to her cause. She didn’t mess around with dudes or crushes. Nope, she was in a nest of killers and was legitimately concerned for her life. Sorin is the other protagonist. He’s a trained assassin who is put in charge of Ileni’s safety. He’s basically her babysitter/guard. He was very mysterious (assassin cliche) and orphaned (assassin cliche) and well-trained (assassin cliche….though necessary). I never realized how many assassin schools there were until reading YA fantasy. I want to read a book about homeschooled assassins. I digress. There is some light romance between Ileni and Sorin, but it’s super light and not insta-lovey at all. It almost wasn’t enough. The entire book takes place in the Assassin Cave. I don’t really remember or know what’s called, but it’s basically a cave that holds an assassin school. It has magical wards to keep people out. I thought this was kind of a cop out—I honestly don’t even know the name of the country or world. The worldbuilding was severely lacking in this book—it was incredibly vague and restricted to the cave. The magical system was lacking as well. I was left with more questions than anything upon finishing the book. Why did Ileni’s magic disappear? Nobody knows. 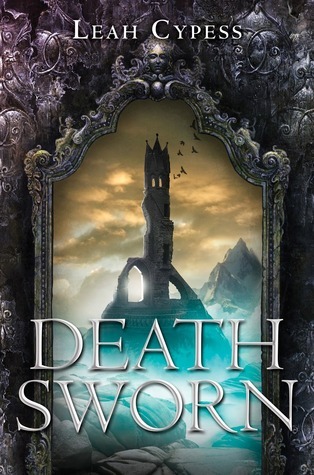 Overall, I did enjoy this and would recommend it to those who like YA Fantasy (especially assassins). I rated it 3.5/5 on Goodreads.